Towards the end of the year 1900, Henry Hewer, Manager of the local Bank, approached Joe Moore, a forage merchant, and suggested that the town could support a Masonic Lodge. 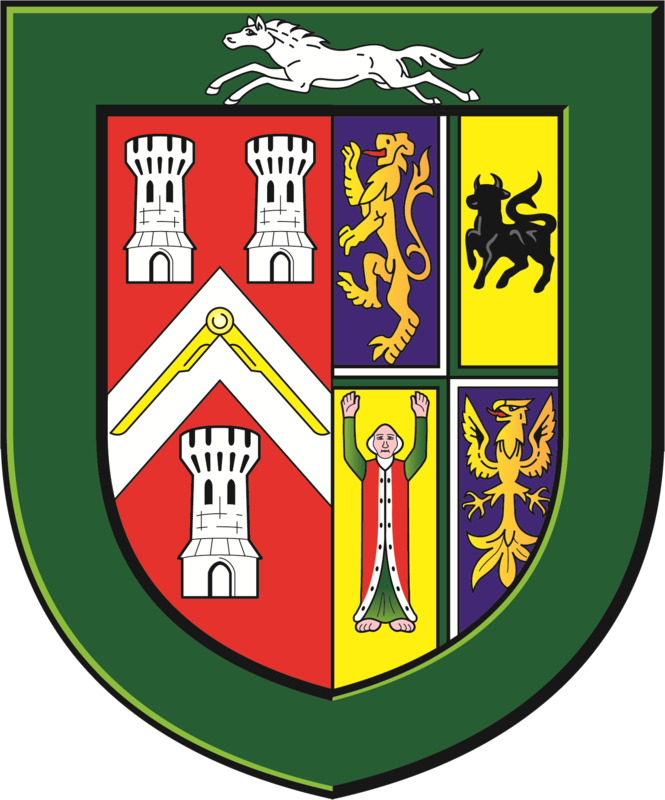 Baldomero de Bertodano, a retired Solicitor, who had already achieved high honours in Craft Masonry, holding Grand rank as a Grand Steward, and who was also a Past Grand Warden of the Province of Kent. He and a brother had recently moved to Malmesbury and showed interest in a local Lodge. So on January 31st 1901, at 3 p.m., at the Bell Hotel, it was agreed to petition for the formation of a new Lodge. Provisional fees were to be £1. 5s subscription, £1. 10s Joining fee and £5.5s for Initiation. There was some delay, the Provincial Grand Secretary did not want to do anything, so a strong letter was sent to him in October threatening an appeal to the Deputy Provincial Grand Master. The amazing thing, regarding this delay, was that the Provincial Secretary, Bro Harry Bevir, was to be one of the Founders of the Lodge! This letter did the trick and on January 14th 1902, the Petition was accepted and the new Lodge given the number 2888 and the name St Aldhelm. St Aldhelm was the very peripatetic priest who worked his way across the country and had served at Malmesbury, as the founder of Malmesbury Abbey, a home for Benedictine Monks, and where Athelstan, King of England, is thought to be buried. Over the entrance porch of the Abbey there is a good collection of Mason's marks, put there by the old craftsmen who built the wonderful structure, which had a spire. Poor Brother Hewer, after having done most of the work, was moved by his bank a long way away, so he had to hand over to Bro Thomas Reed who was a wine merchant. The Lodge was consecrated on 31st July, 1902 and to mark the occasion, one of the Founders, W.Bro. Rev. H.Kendrick Adkin laid a corner stone at the base of the new Technical school then being built. He was to be the first Junior Warden of 2888. The Presiding Officer for the Consecration was the Provincial Grand Master, The Earl of Radnor, assisted by the DPGM. W Bro Charles N P Phipps, and the first Master was W.Bro Baldomero de Bertodano, He also did two short spells as Director of Ceremonies of the Lodge. He was also responsible for much of the Lodge furnishings still in use. His brother Carlos Edmundo de Bertodano was senior warden. He too was a Grand Steward and, after a blank period in the Lodge, acted as Secretary for a long time He was mainly responsible for the gift of the officer's jewels still in use. Although these brothers' names seem continental they were very English Victorian gentlemen. Among the other Founders was Viscount Dungarvon, Provincial Grand Master of Somerset. He did not do much for the Lodge and resigned in 1903. He was an Irishman and on the death of his father he inherited the title Earl of Cork and Orrery. Brother Sir R.Hungerford Pollen Bt., of Rodbourne, also did not last long, he was the first Treasurer but resigned from the Lodge just Over two years later. Another founder was Col. W.W.Turnor (a very fierce J.P.) who only stayed until 1906. For many years the Lodge met at the Bell Hotel, the billiard room being used, the owner being a founder of the Lodge and for many years the Director of Ceremonies. Joe Moore a very "peppery individual" and one real character! The Lodge Banner, was made by the ladies of some of the brethren, including four Miss de Bertodanos. On 22nd November 1904, Brother F H Lockstone was re-obligated in the 2nd Degree, and on 27th December he was re-obligated in the 3rd Degree. It seems that as the January lodge had been postponed there had not been the necessary 28 days between his Initiation and Passing. 1906 the Lodge agreed to the formation of a Chapter. The next year it was confirmed from Grand Lodge that St Aldhelm Lodge had duly qualified as a Hall Stone Lodge having made £525 for the Masonic Memorial Fund. This Jewel was presented to the Master, Bro H W White, who attended Grand Lodge, with the J W, on 2nd Sept 1925. On the 29th May 1928 the Lodge, attended a ceremony of re-opening and re-hallowing Malmesbury Abbey, after its restoration. The Lodge had provided the Pulpit on which can still be seen the Square & Compasses. At the end of 1946 the Lodge meetings were moved to the Town Hall. The first meeting was so cold that Brethren wore overcoats in the Lodge. All the heating pipes had frozen and burst. Arrangements for meals were non-existent. In 1973 the Lodge moved to the Parish Hall, Silver Street and was later able to purchase this property. Jan 1951 saw the start of the practice of presenting every candidate, on the completion of the third degree, with a copy of the Volume of the Sacred Law on which he had taken his three obligations. Over the years the building at Silver Street has been improved and enlarged. 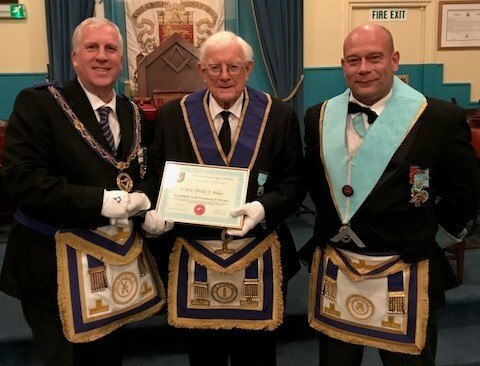 Assistant Provincial Grand Master Simon Leighfield joined by Worshipful Master of St Aldhelm Lodge No.2888 presents W Bro Philip Miles with a 60 year Service Certificate. A remarkable achievement for a most remarkable man. A SIGNIFICANT feature and part of the past of St Aldhelm Lodge was recalled at a function that formed part of one of the most widely observed national anniversaries. 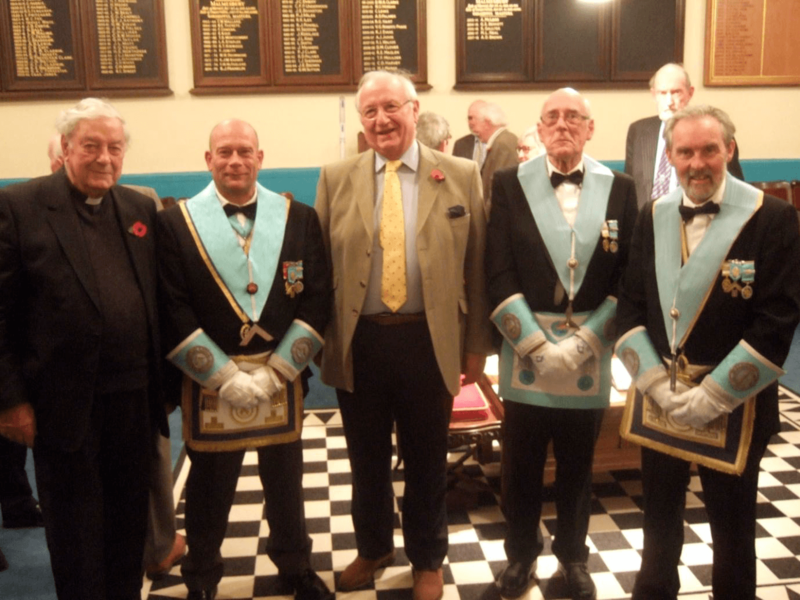 A 'white table' evening open to families and guests of the brethren was held on November 8th, just two days before St Aldhelm Lodge was represented at a Grand Lodge national masonic meeting in London to acknowledge the grant of our Hall Stone Jewel. This was awarded by the Grand Master in recognition of the part St Aldhelm Lodge played in raising money to pay for the present Grand Lodge as a war memorial to brethren who died in the war.  One of the objects of white tables is to introduce men who might be interested in freemasonry to the Craft, and this also proved to be successful. Guests-of-honour were the Provincial Grand Master for Wiltshire, RWBro Philip Bullock and Mrs SallyBullock, and there was a good attendance of 54 to enjoy a very good dinner, followed by a presentation about the Hall Stone Jewel and the history of St Aldhelm Lodge in the war by the Chaplain WBro Rev Richard Maslen. Part of the presentation was about the way English masonic lodges 'bent' the rules to care for brethren who came from all over the Empire to help win the war, based on a short story by Rudyard Kipling entitled "In the interests of the brethren". The Chaplain has a copy which interested brethren may borrow on pain of death by heavy maul for non-return! The PrGM was seated opposite the honours boards bearing the names of all who have filled the Chair of King Solomon in St Aldhelm Lodge since its foundation in 1902. He remarked afterwards how moving it was to read some of the names as the part they played during the Great War was described. In the St Aldhelm Working WBros Robin Walker and the Rev Richard Maslen decided to donate a new book and sought a bookbinder to do the job. No problem - but to have a cover like the old one, with a resplendent gold seal, needed a zinc blocking die. The only one ever known to have existed disappeared in Cornwall years ago during a failed printing economy measure. the 'St Aldhelm Working' the Lodge Chaplain reads prayers and scripture passages at different stages of the ritual. In use at every meeting is a Chaplain's Book donated in 1963 by WBro C R Lucas. By the end of 2015 it was, to say the least, well-used, well-thumbed, and showing dark and distinct signs of over 50 years of honest wear and tear. Bro Mike Geake, former Lodge Secretary, had copies of the seal on the computer but they were not clear enough to do the job, so he had the electronic image of the seal brilliantly sharpened-up by a well-connected expert. The result was impressive, and not only is the new cover all that was hoped for, the lodge again possesses a fine blocking die for future use. It will be handed over to WBro John Kerslake for safe-keeping in his famous archive cupboard, along with the old Chaplain's Book, when it is officially retired. There will be a dedication of the new book by the Provincial Grand Chaplain, WBro Tony Milsom, at the St Aldhelm Founders' Night ceremony on Tuesday, May 17th. Our Order approaches a national celebration of 300 years of Grand Lodge. 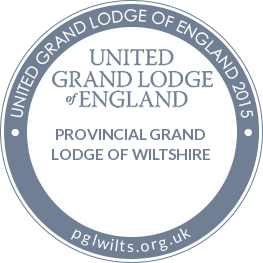 There will be much good publicity in and around the United Grand Lodge of England, the Wiltshire Provincial Grand Lodge and local lodges. 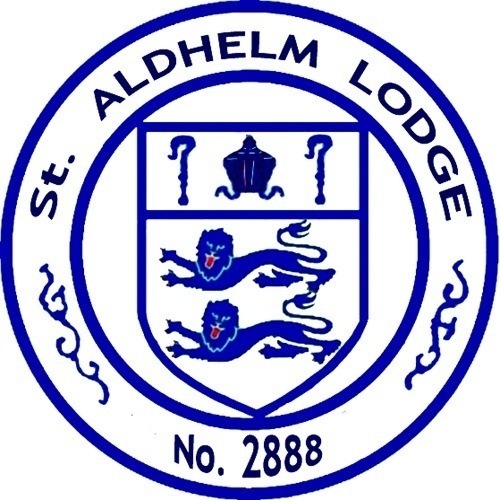 St Aldhelm will also benefit, and it is worth remembering that one of our most successful 'public' events of the past few years was when lodge premises were open for the Secret Malmesbury programme and visitors were encouraged to come in, look around, and discuss masonry with members. Grand Lodge was formed in 1717 not because Freemasonry was on the decline but, on the contrary, because interest in it was beginning to awaken and to spread. St Aldhelm Lodge, No 2888, was consecrated on July 31st 1902, so we also have a significant history to celebrate, and of which to be proud in public. In 1722 a commentator wrote: "Ingenious Men of all Faculties and Stations being convinced that the Cement of the Lodge was Love and Friendship, earnestly requested to be made Masons, affecting this amicable Fraternity more than other Societies then often disturbed by warm disputes". War and/or Peace seems to have broken out over whether or not the latest BBC offering which mentions Freemasonry is "rubbish" or "a refreshing change". Tolstoy's monumental masterpiece, recently 'abridged' for the small screen, is big on heavy sighs, villainy. and heaving bosoms, but there are also important references to Freemasonry which are more than interesting, if maybe ritually strange to a modern Mason. The Craft was attracting enlightened intellectuals and thinkers in the early 1800's and the ideals of relief, truth and brotherly love were also well known and acceptable across a wide religious spectrum. Tolstoy's good view of Freemasonry, through his hero Count Bezukhov, is more akin to reality than some of the misapprehensions and misrepresentations which have grown up since. Recent references to Freemasonry, especially on television, were more likely to draw guffaws or fury than appreciation, from the initiated. It is easy, and often correct, to put this down to ignorance, but a reason for mistakes, or mischief, among critics could also be perceived 'secrecy' in the past.